And have been for more than 20 years. Because of our experience, we’re renowned for offering the most extensive range of forklift truck forks and attachments around. They’re manufactured in-house to the highest standard by our highly-skilled team. And because of our extensive stock-holding capabilities, we can provide you with the forklift truck fork or attachment you need, when you need it. A fork extension so that you can make light work of long and awkward loads? We’ve got plenty in stock, in a range of different designs to suit your operation. Hydraulic attachments, such as a sweeper/collector to keep your sites risk-free and clear of dirt and debris? They’re within our product range. 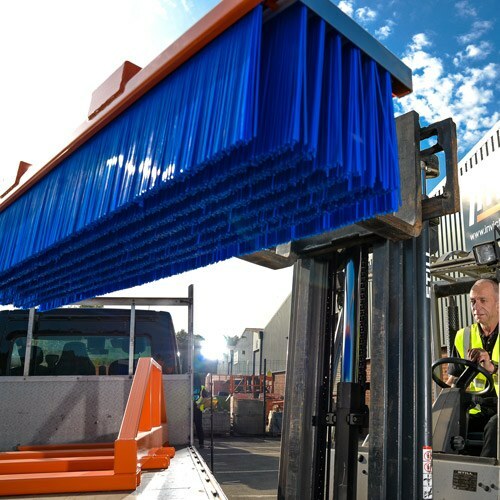 A fork-mounted magnet that’s a really simple and highly effective way of clearing factory floors, car parks and goods yards of unwanted steel debris? You’ll find it in our catalogue. Brushes and sweepers, including our Basil model, which is a quick and easy solution for re-heaping loose granule materials? We’ve got products suitable for handling sand, topsoil, grain and more. Or perhaps you don’t need something that’s off-the-shelf, but are looking for a forklift fork or attachment that’ll meet your specific requirements? We can help you with that too. In fact, our custom forklift capabilities are in a whole league of their own. You may not be 100 per cent sure of what you need, but that’s where we come in. 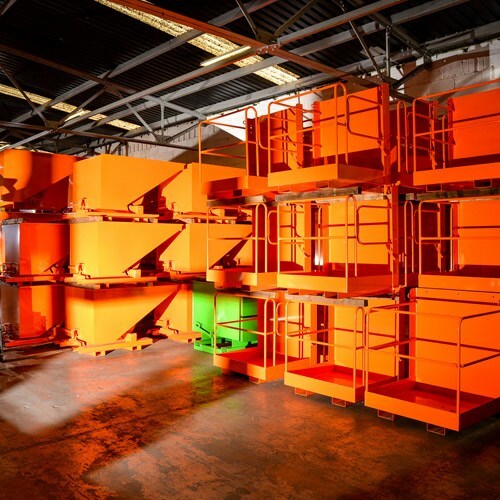 We’ll help you identify if you need us to adapt one of our standard products or if you require a bespoke solution developing to help you overcome a particular challenge or problem. In the meantime, here’s a selection of some of the bespoke forks and attachments within our product range. Got any questions about our industry-leading products or perhaps you’d like to put our bespoke capabilities to the test? Contact us on 0113 277 1222 or sales@invicta-attachments.co.uk.